Mileages: York City centre  5 miles, Leeds -25 miles (Distances Approximate). 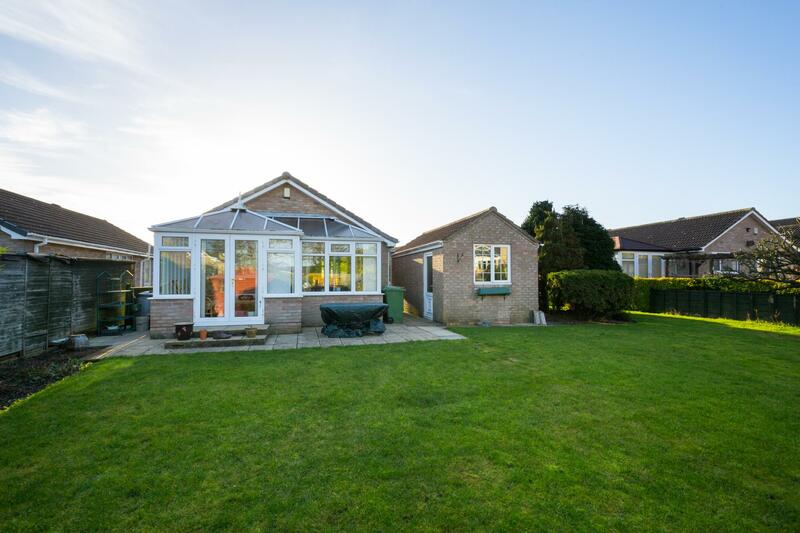 A meticulously maintained 2 bedroomed (formerly a 3 bedroomed) detached bungalow, revealing spacious and well proportioned rooms and having significant scope to extend, set within generous landscaped gardens in a highly popular area readily accessible to local shops and public transport. 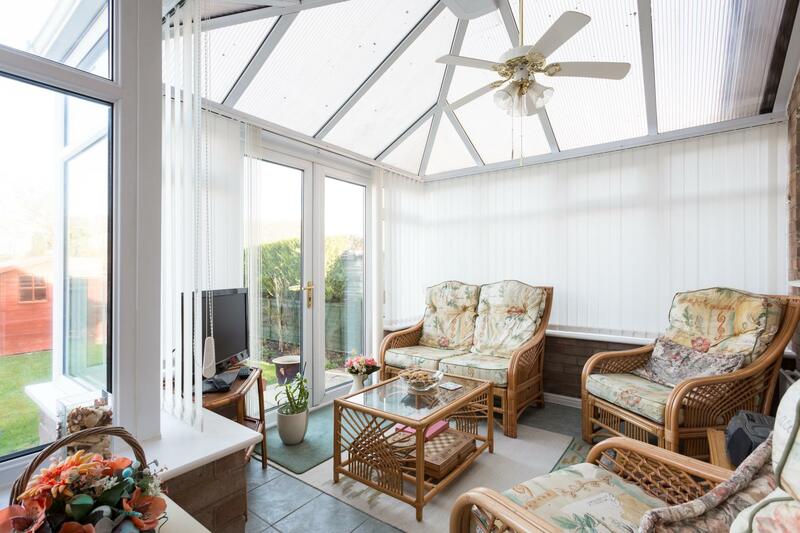 With UPVC double glazing, a purpose built Conservatory and gas central heating. 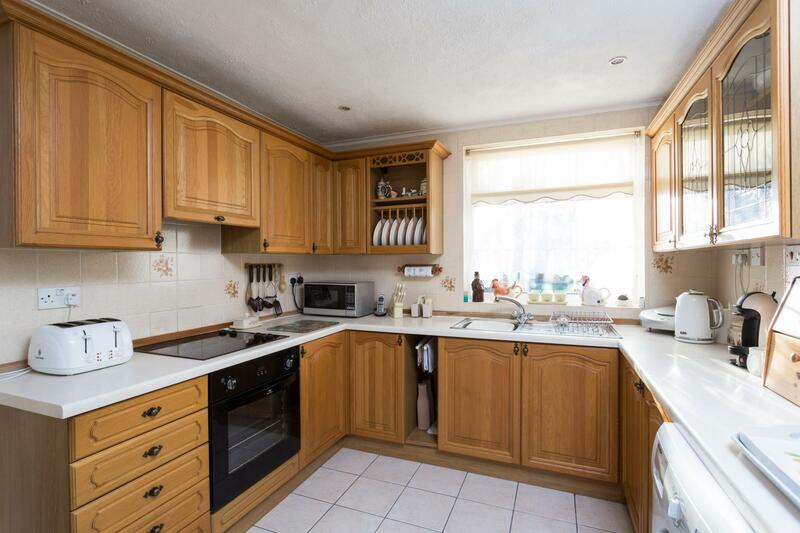 Fitted Kitchen, Lounge/Dining room, Study/Bedroom 3, Inner Hall, Master Bedroom, Bedroom 2, 'L' shaped Conservatory, Family Bathroom. 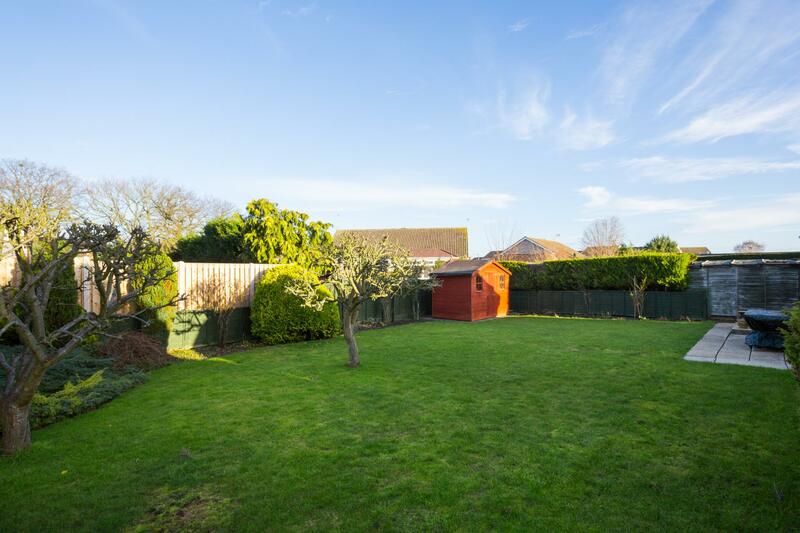 Detached Single Garage, Car Port and generous gardens extending to 0.15 of an acre. 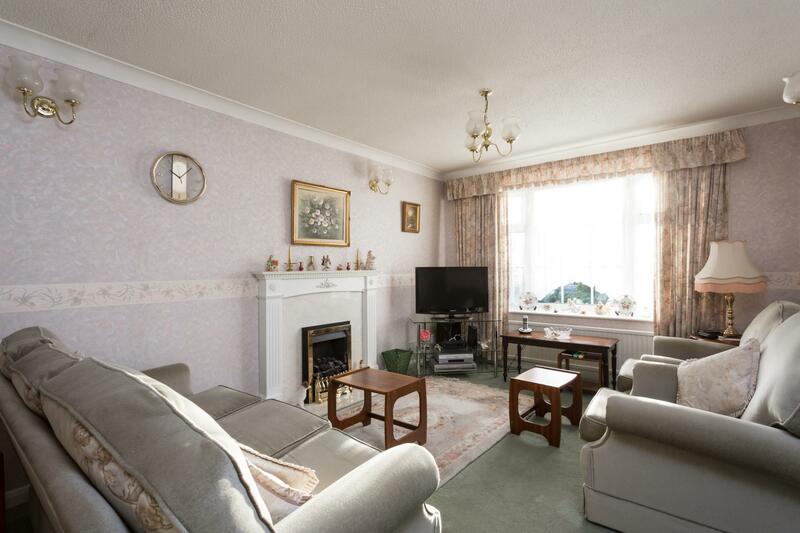 Enjoying a delightful position on this highly popular development within level ease of access to local amenities, No. 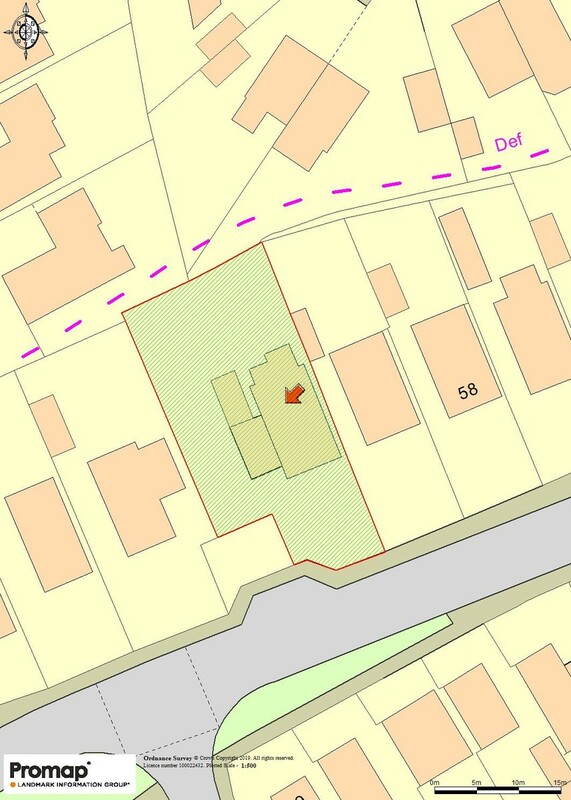 62 Wheatfield Lane is a spacious and well appointed 2 bedroomed detached bungalow, which has significant opportunity to extend (if required), set within a generous garden (identified on the attached plan). A side UPVC panelled and double glazed entrance door opens to a FITTED KITCHEN, which is comprehensively fitted with a range of white oak cupboard and drawer wall and floor fittings, complemented by curved edge preparatory work surfaces, inset 4 ring Creda hob with single oven under and concealed extractor over, attractive tiled mid range, matching wall cupboards including a plate rack with bookshelf over, glazed display cabinets, space and plumbing for a washing machine, window to the front elevation overlooking the established gardens, tiled floor, shelved pantry store, boiler cupboard with gas central heating boiler, fitted refrigerator and freezer. An inner door opens to the LOUNGE/DINING ROOM, with a UPVC double glazed oriel window overlooking the established gardens, attractive Adams style fireplace with living flame coal effect gas fire, 4 wall light points and window to the side elevation. Separate STUDY/BEDROOM 3 with window to the side elevation. INNER HALL with Loft access. 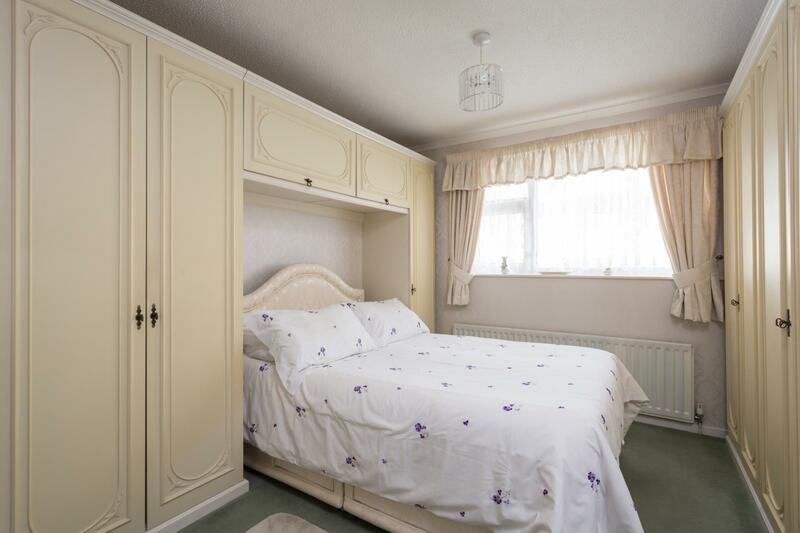 The MASTER BEDROOM has a range of fitted wardrobes, window looking into the conservatory and corner shower cubicle with adjoining vanity basin with cupboards under. BEDROOM 2 has a range of built-in wardrobes revealing hanging rail and shelves and a double glazed sliding patio door opens into the 'L' SHAPED PURPOSE BUILT CONSERVATORY with tiled floor, ceiling light with fan and French doors opening onto a paved patio area and generous 'L' shaped lawned rear garden. 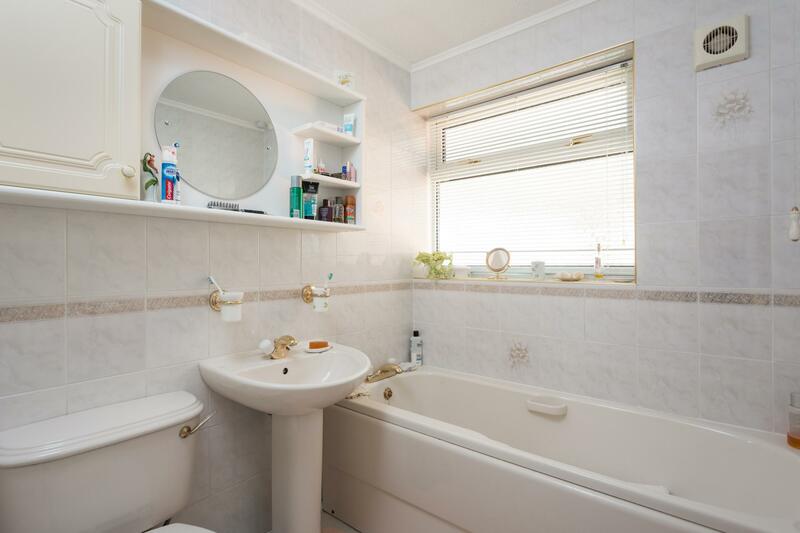 The FAMILY BATHROOM has fully tiled walls and a coloured suite comprising shaped and panelled bath, pedestal wash hand basin, low suite WC, tiled floor, mirror with cupboard and shelves and towel radiator. No. 62 Wheatfield Lane occupies one of the larger gardens on this highly popular and maturing development, approached over a block paved driveway providing plenty of off road parking. To one side is a generous lawn with central borders stocked with conifers and shrubbery, with a flowering cherry. CAR PORT (21' x 13'3) of brick construction with a timber and polycarbonate roof. 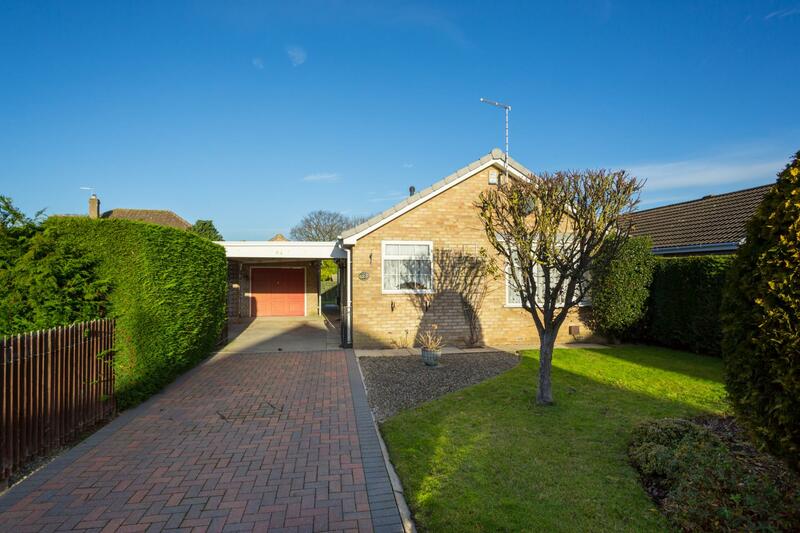 In turn leading to the DETACHED BRICK BUILT GARAGE (19'6 x 9'4) with light and power, up and over door to the front and a personal UPVC double glazed rear access door. To the side is a private garden set behind a neatly clipped leylandii hedge, comprising a side patio and lawn. Beyond is a further good sized garden, having a paved patio adjoining the purpose built conservatory, with good sized borders stocked with shrubs and flowering plants, cherry and plum tree. In all 0.15 of an acre. Haxby is serviced by a wide range of local amenities including shops, schools, sports and health facilities, whilst also being ideally located for the many amenities afforded by York City centre and the A1237 York by-pass, which provides swift and easy access to the local road networks. It is also serviced by a regular bus service into the centre of York. Mains water, electricity and drainage, with gas fired central heating. Leave York along Haxby Road and proceed straight on at the A1237 roundabout onto York Road. Take the second turning left onto Eastfield Avenue, proceed for some distance and turn right onto Wheatfield Lane, whereupon No. 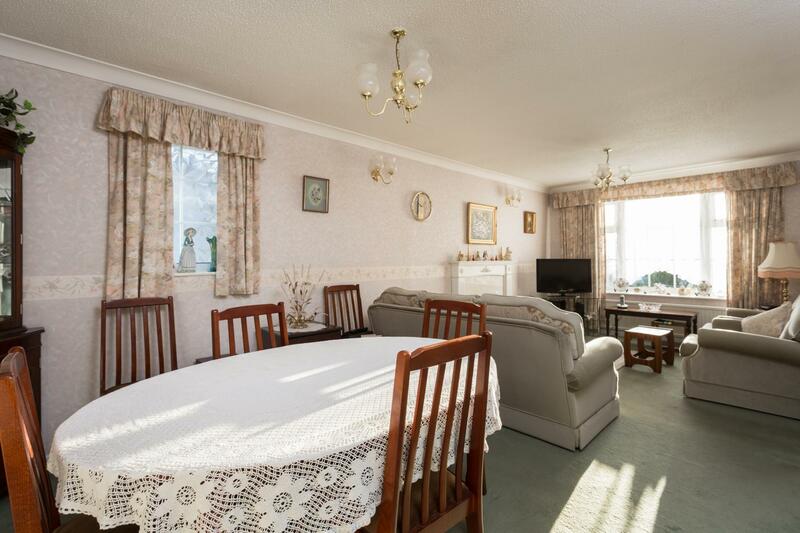 62 is positioned on the left hand side, identified by the Williamsons 'For Sale' board. 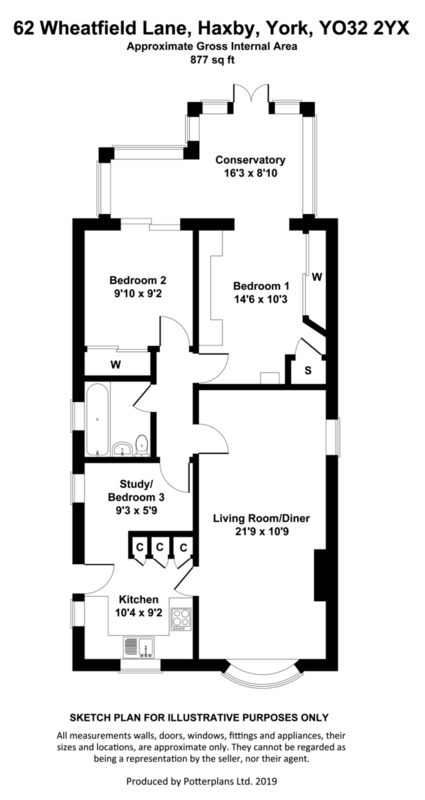 Agents Note - Our client currently uses bedroom 3 a study and would need some minor refurbishment for privacy.